The first truly global war severely affected civilians at home as well as soldiers on the battlefield. Yet it brought us poetry which touches people today. This is a twenty-first century view of a twentieth century war – the aim is not to glorify but to highlight the human qualities involved. 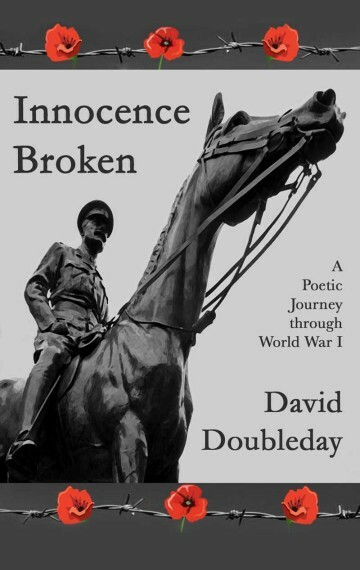 The Great War encapsulated from David Doubleday’s perspective as a poet. Take an intriguing journey through famous and forgotten events; share the viewpoint of some of the individuals and establishments involved; encounter the grimness of trench warfare. Get a pigeon’s eye view, join the Navy in action, civilians in peril and question the legacy. These new poems express the essence of the Great War today – innocence broken.